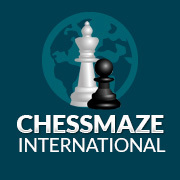 Let us announce that the information about dates and kinds of tournaments, which will be held within the frame of the 17thInternational Chess Festivals Series CZECH TOUR 2017 / 2018, is available on http://www.czechtour.net/news/ and preliminary regulations of the 28th International Chess and Games Festival CZECH OPEN 2017 on http://www.czechopen.net/en/news/. Furthermore we would like to inform you that the registration deadline for 17th LIBEREC OPEN 2017 that takes place 25. 2 – 4. 3. 2017 (http://www.czechtour.net/liberec-open/), has been prolonged without extra fee for the late enrolment till 19th February 2017. The preliminary starting list of this event is available on http://www.czechtour.net/news/.